Preconceived ideas attached to space limit the ways in which the concept can be envisioned. This edited collection explores many different types of space, including exile, which prohibits one's ability to return home; transnationalism, which encourages movement between national borders typically due to dual citizenship; the borderlands, which implies legal and illegal crossings; and finally, the open road as metaphor for normative, heterosexual masculinity. 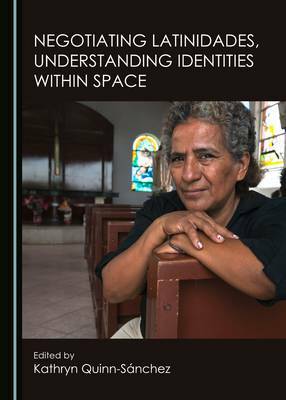 At issue in all of these representations is the role of freedom to self-define and travel freely across barriers that exist to deter entry into physical and metaphorical spaces.Unpacking social location by clearly discussing identity markers within space allows each contributor to this volume to disentangle the intricacies within Latino/a subjectivities. Specifically, Oscar Hijuelos determines his character based on the experience of exile from his beloved homeland, Cuba. Ernesto Quinonez' protagonist demands his piece of the pie, or place within the American dream by climbing the social strata through criminal means. Reyna Grande's characters find their identities tied to the success or failure of a dance studio where culture, identity and economics are simultaneously negotiated. When the urban city becomes a metaphor for untamed violence, Daniel Alarcon represents the city/jungle as spaces that reflect two cultures that clash-the modern and the ancient, one left behind and one surging ahead. While on the islands-in New York City or the Dominican Republic-Angie Cruz and Nelly Rosario invoke the space of the sea to portray the friction between being in one physical space while longing to be in the other. Finally, Erika Lopez destabilizes the patriarchal, canonical road novel by deconstructing the stereotype with her protagonist who is a bisexual, motorcycling woman that travels across the US.